But The Light has always been more than just a tribute band. Hook was an integral member of Joy Division and New Order and there has never before been such an intense focus on performing the music of Joy Division live. People know the records, but very few can claim to have seen the band live – what The Light has done is allow fans to hear these songs performed live again. Hook’s bitterness over his split from New Order in 2007 is still clear: “I consider them to be New Order as much as I consider myself to be Joy Division. They are using the name New Order fraudulently because they didn’t consult me or get my permission to use it,” he said. The musician believes a loophole in British Company law has allowed the other members of New Order to push him aside in a way that may be technically legal, but is certainly nor moral: “They reformed without asking me, they just did it behind my back. New Order is a limited company, just like Coca Cola. What they did is just like three guys in Coca Cola saying well we know you worked here for 30 years, so here’s 50p [for your effort],” Hook says. “All four of us owned the name, but they invoked a loophole where the voting in a company can be changed when a director is abroad. They used that to get rid of my vote, regardless of how communication has changed since that company law was created,” he adds. Regardless of the obvious rancour with the other band members, Hook’s plan to revive the early output of New Order will be welcomed by fans. “Most of the early New Order material has been ignored for more than 25 years. The idea of playing these two albums in full is to feature the songs as they were written and to celebrate the LP and the art of the record. There is also a perfect musical continuation from Closer [Joy Division] to Movement [New Order],” Hook explained. “We always found that we could play some of the other songs as an encore and send everyone home happy. Whilst Movement is very intense, there are some fantastic songs on there; it’s more ‘uppy’ and ‘rocky’,” Hook points out. Hook recently published a well-received history of Joy Division titled ‘Unknown Pleasures’. Despite the band receiving a great deal of attention over the years this was the first time a band member had documented Joy Division from the inside. New Order vocalist Bernard Sumner is working on a book documenting the history of the band. Hook is also working on his own book, so I asked how that is progressing. “Joy Division was only three years and with New Order much more was recorded so I have a lot more material, but unfortunately that means I have so much more choice, I have to look at it all and wonder what am I going to leave out,” Hook says. 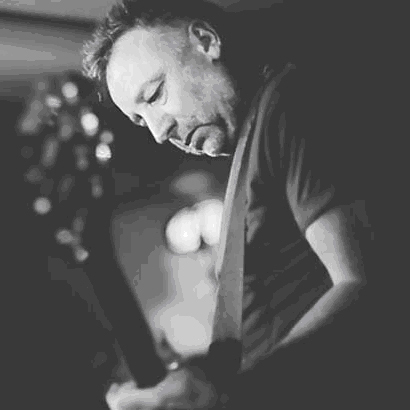 via Back to Basics: Peter Hook Hits the Road With the Songs of New Order | Mark Hillary. NextPeter Hook & the Light to release “Unknown Pleasures” & “Closer” live, 2nd Sept 2013, download Heart & Soul now!